Native app vs Hybrid app? A quick overview! Mobiles are considered to be a boon for the technology – a platform for being digitally & virtually connected with everyone. The entire know how of mobile app development comes from knowing & understanding the basic two platforms – Hybrid App Development & Native App Development. 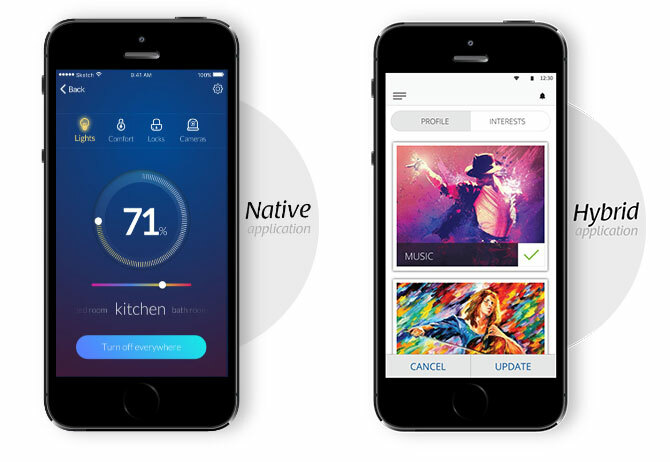 Native on the other hand refers to, an app which is developed for a mobile operating system and is designed for a precise OS (operating system). Mobinius Technologies Pvt Ltd., is proudly emerging as one of the topmost technology organization, offering its trailblazing techno solutions, accompanied with an integrated & innovative approach. With a wide gamut of hi-tech offerings, equipped with simplified solutions, across various sectors ranging from automotive, construction, education, information technology, logistics, travel, healthcare & pharma to retail, served across different mobile & web platforms, Mobinius is reckoned as an end-to-end solution provider, delivering unswerving results. Apart from being on a multifold growth path, Mobinius is also garnering accolades & recognition for being the leading technology company, ranked #17 at the recently concluded Deloitte Technology Fast50 India, second time in a row! 2016. Headquartered in Bangalore, India, along with global presence across US, Netherlands, Sweden, Singapore, Mobinius is on a global expansion spree!